Historically: 52% of ACOs in MSSP did not keep costs below benchmarks in the first performance year. It is also interesting to note that within the first CMS evaluation of bundled payment initiatives, there was a 30% reduction in patients admitted to post-acute care setting following orthopedic surgeries. Likewise, in a recent letter to Journal of the American Medical Association (JAMA), New York University’s Model 2 bundled payment program demonstrated a 49% reduction in discharges to PAC providers for cardiac valve replacement surgeries and a 34% reduction for joint replacement surgeries. 1) Innovative Clinical Programming: Advanced clinical capabilities and exceptional care delivery can be the foundation for building long-lasting, resilient relationships with upstream and downstream partners. For example, by implementing progressive clinical niche programs (e.g. : pulmonary rehab programs, care transition protocols and total joint programs), savvy PAC providers have successfully earned secure, collaborative relationships across the continuum of care. By demonstrating impressive, positive outcomes related to such critical performance outcomes as key quality measures, patient satisfaction, and financial performance, PAC providers effectively hard-wire relationships. Likewise, many PAC providers have successfully developed/implemented formal clinical pathways based on critical DRGs which, when effectively executed, promise quality care/positive functional outcomes within an acceptable length of stay. ACOs/participants in bundled payment programs recognize value in being able to accurately align clinical interventions with patients’ acuity/needs/risk; formalized therapy and clinical programming, as described above, provides the framework for this advanced level of integrated care. 2) Well-Defined Processes and Outcome Measures are Essential: It may come as a surprise to some that ACOs, referring hospitals/physician groups and conveners alike force rank the sub-acute providers in their regions based on very specific criteria and well-defined benchmarks. As such, they aggressively seek to partner only with those able to demonstrate clinical efficacy, efficiency and positive outcomes. Therefore, it is crucial for PAC operators to have systems in place to track data related to several key indicators, such as, but not limited to: fiscal performance; operational metrics; readmission statistics; discharge disposition; therapy interventions; quality measures that demonstrate effective care delivery; etc. Provider networks also want PAC operators to have standardized assessments, such as CARETool, in place. (In fact, HealthPRO®/Heritage anticipates this expectation will in fact, become a CMS requirement, so it is already built into our proprietary documentation software.) Additional opportunity exists for those who implement standardized processes as well, such as INTERACT. The value of having well-established care paths, admissions fast-tracking and advanced care planning tools in place cannot be overstated. Likewise, network providers expect standardized processes be in place to support staff communication, patient education and sophisticated discharge/transfer planning and follow-up processes. 3) “Doing Nothing” is Not an Option: Pilot programs are well underway or have already been concluded, and preferred provider networks are narrowing; as such, all PAC providers must realize it a critical time to respond. In an effort to survive and thrive in this unpredictable environment, the lesson is clear: doing nothing is not an option! Click here to review a Case Study that highlights the impact on market share & census for a northeast-based skilled nursing facility which chose not to engage in regional health care reform dialogue. Foremost, HealthPRO®/Heritage recommends to all PAC operators to invest time and resources in conducting an objective, formal analysis of current strengths and opportunities. With a “SWOT Analysis,” a PAC community can, in turn, establish a “Strategic Roadmap” which outlines immediate, short-term and long-term initiatives/internal care re-design to fortify efforts in attracting ACO/VPB partnerships. 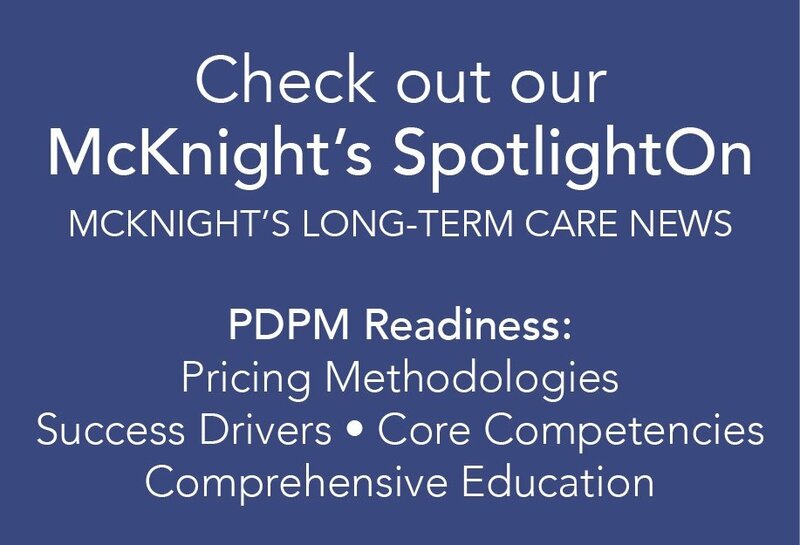 Click here to review a compelling Case Study about implementing an interdisciplinary approach that demonstrates the impact on performance indicators and the ability for to secure strategic relationships within a competitive Pennsylvania marketplace. Additionally, HealthPRO®/Heritage encourages all PAC operators to establish open, consistent communication pathways with regional upstream and downstream providers. ACOs/conveners/referring physician groups value ongoing communication, because tracking progress and performance outcomes happening at the grassroots level. For example, those PAC operators involved in ACO networks and bundled payment programs may meet as often as bi-weekly in some cases to report out on patient progress, trends in satisfaction scores, outcomes, etc. Therefore, HealthPRO®/Heritage encourages PAC operators to proactively approach potential referral networks to (1) demonstrate a willingness and ability to execute on innovative strategies, share plans related to program development, strategic initiatives and processed for tracking/managing outcome data, and (2) learn whether opportunities exist to address their needs. To fortify the future success of our customers, HealthPRO®/Heritage charges ahead of the curve. As a solutions-oriented industry leader, it is HealthPRO®/Heritage’s responsibility to anticipate compliance, reimbursement and regulatory trends in this rapidly-changing health care reform environment. As such, it is critically important to predict shifts in the current marketplace and prepare our customers accordingly. For example, as networks continue to narrow across the Nation, the benchmarks by which all PAC providers will be evaluated will become more competitive. HealthPRO®/Heritage anticipates the new Quality Measures will also have a significant impact on how PAC facilities are assessed. As such, our customers must develop/enhance systems that keep pace with these rigorous demands. PAC operators must also prepare for further changes in reimbursement. In the near future, the industry can anticipate that ACOs and all VBPs will also include long-term care services, representing another obstacle to overcome. Declining census numbers will continue to trouble PAC facilities not only because more patients are being discharged from the acute care setting directly to home. Demands for decreased length of stay (as with bundled payment programs) and the associated rapid turnover of sub-acute services makes it very difficult for PAC operators to maintain consistent census. Additionally, census is dramatically dependent upon whether PAC facilities are chosen as “preferred providers” by regional ACOs/hospital systems/physician groups. HealthPRO®/Heritage’s has proven success in helping PAC customers establish a balance between providing quality care and meeting the needs of patients with the rigorous requirements of VBPs while still remaining financially viable. As health care reform continues to shape our industry, HealthPRO®/Heritage is in a unique position to provide support to the PAC industry. We look forward to overcoming obstacles and meeting the challenges of the future head-on by continuing to take a proactive collaborative approach to turning these challenges into opportunity.